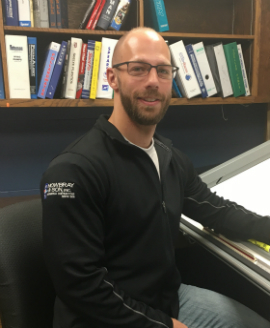 Brendan Matson - Mowbray & Son, Inc.
Brendan Matson graduated with a Bachelor of Science Degree in Mechanical Engineering from the University of North Dakota in December of 2012. Brendan was hired in January of 2013 as the Project Design and Estimator for the plumbing/pipefitting division of Mowbray & Son, Inc. Some of the projects Brendan has been involved with include the Minot International Airport, the Ward County Office Building, the Mountrail County Justice Center, the John Hoeven Elementary, the Nedrose Public School, the addition at South Prairie Public School, and the Ward County Jail Expansion.